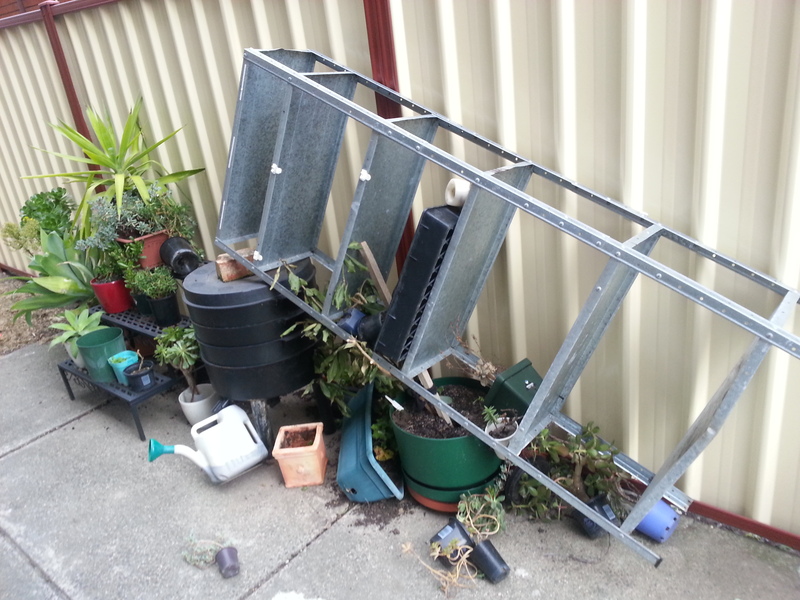 I always expect a little bit of damage when we have high winds… Usually I have a fair idea of the pots and random things that are at risk of getting blown away and i take steps to move them or tie them down (i tied the frangapani to the stairs rails yesterday afternoon after it fell over at the beginning of the storm). The Baby Bay tree that was on top in the terracotta pot had landed behind the worm farm. Frantically i began the rescue mission, searching through the dirt from its pot and the pots of all its other fallen comrades. I couldn’t find the tree and decided it was gone… as i went to get in my car … meters away from this accident i nearly stepped on the poor little, bare rooted, Bay Tree that had blown its way across the car park! It has now been reunited with its pot, and i hope it lives! The tree that I was trying to keep alive after the carnage of the fence replacement is certainly now doomed. Honestly, no complaints from me really… the weather has been so WILD that if this is the only damage – Ive been very lucky! 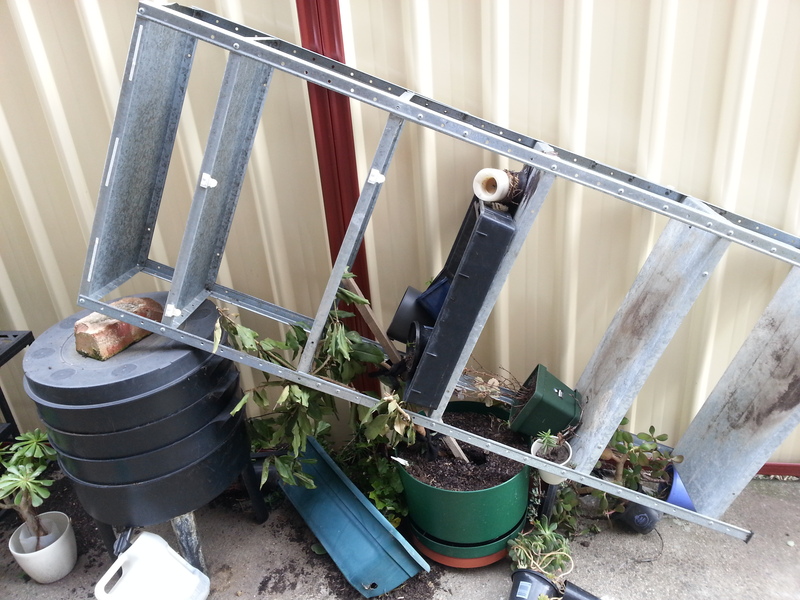 Previous PostBeans VS Birds (Round 1)Next PostFirst ‘Garden Reno’ Job Confirmed for Brunswick Gardener!